How standards have changed. 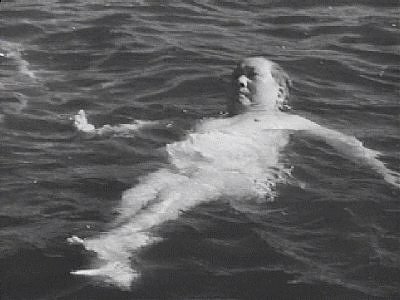 First there was Mao’s famous Yangtze River swim where he set a world record by swimming 15 km in 65 min. Now a wealthy Chinese businessman is offering 200,000 yuan [HK$246,000] to get a Chinese official to simply swim for 20 minutes in a river without success. It is not the result of diminishing physical stamina (or propaganda) in China as much as the river in question. Jin Zengmin, chief executive of a Hangzhou eyeglasses retailer, wants Ruian’s environmental protection bureau chief, Bao Zhenmin, to swim in the river in the small-town Ruian, which is virtually solid garbage. He could literally do a crawl on the surface. Not the Australian crawl, mind you, but the Chinese crawl on a surface of refuse. While Jin blames a local factory, Boa not surprisingly defends the factory and blames citizens for dumping in the river. He insists that the river has been destroyed by overpopulation. It appears that there will be no swim down the majestic river in Ruian. The pictures in the article below however suggest that Boa might be able to walk down the river. It appears that Chinese communist officials can walk on water in the miracle that is China’s bustling economy. Forgot to end the bold after words “original post”. Headline and ending as above. I still think that we the USA and its international corporations are good analogies to kudzu. Source: Alan Grayson, D rep from FLA. Populist? Which pol isn’t? PLANT ANALOGUES TO CORPORATE GROWTH INTERNATIONALLY, WHICH ALSO LEAVES THE ENVIRONMENT BARE AND BARREN. Juat read the “kudzu in the US” article in Wikipedia. Fascinating. And all started by the CCC in 18??. Bron, Government meddling is not something new. And for the sake of the xenophobics here, I note that it originated in Japan and China. Just don’t forget that we also an invasive species, and kill all other indigenous growth. So can we contain ourselves and the damage we cause.? From the Tennessee dope mules thread. For all I know there may be a link to a lecture video in english there. Haven¨t looked around the blog yet. I mentioned a Swedish genius to you. Here is what I wrote just now to my friends. “He is retired (professor emeritus) but definitely active. Here’s his blog. Still looking for a lecture video in English. He tweets as well @gunnarbjursell. Geneticist and a close follower of brain studies. Full of personal info, including CV etc. i tweeted him this link to the NYTimes from 18 Feb.
Will see if I get a bite. But you can just enjoy what he writes in English and French, which he uses on his blog. Show me a well functioning democracy and I’ll sneeze three times. In India, money still decides, corporations including foreign (USA) ones still dominate the agenda and most decisions. Lay on top the controlling caste system which is still in place in spite of being forbidden, and you get existence farmers who take loans, and commit suicide when caught in that position and the crop fails. Leaving their widows to take day laborer jobs on large plantatiions a daily train-ride away. The kids, guess the neighbors help. USA for ex Monsanto get usuallly what it wants. But not always, as the Indian Sct demonstrated. Actually the Indian Sct could be after a bigger bribe for obliging Montsanto. Screw the people says the Indian democracy. Culture and religion they have, democracy NO. China is the greatest population center, however, India is the second largest population center, but the largest democracy. The River of Faith shows that democracies can have vast populations that seriously practice a religion that is very strange to their democratic allies’ religion (e.g. U.S. and India). I imagine the Chinese and Russia are the same in that regard — a religion in one may be strange to the other. Delco did it to the love canal in New York…. Why doesn’t it surprise me that China is polluting its rivers in its race to manufacturing nirvana? Yikes. When I think of all the MAOists I used to know, who extolled the glory of the Chinese Revolution, I’m not quite sure that this was their vision of how it would all turn out. Just gotta love the garbage deniers….. I note with pleasure that the South China Morning Post is stiil free to post Reuter articles. Hong Kong is still relatively free from red China’s restrictions. SMCP beng the source behind the blog. PPS. The tourist director for Stockholm and the mayor have even enjoyed glasses dipped by themselves from waters outside the City Hall. Live on camera dipping and drinking from the water’s edge from the stone steps leading down. 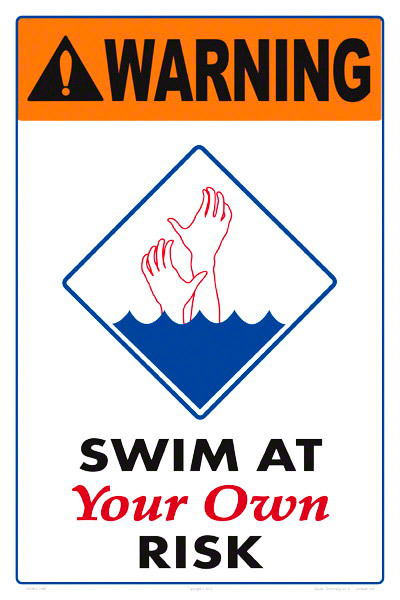 However bathing in the center is not encouraged, but is a mile further away. The waters of the city center for drinking by tourists, who are cell-filmed doing it. Nuff said. So much to say, and so little time. Glad to see folks praying at waterside, Soon they will be praying for water. The exploitation costs deferred by both government and enterprise gives the central locations chosen. And the relative wealth (or agricultural poverty, brings what are called migrants. In fact the “migrants” are peasants denied resident permits (like in USSR days), who go “home” once a year, and who are profitable sweatshop personnel. The proximate cause to the “walkable” river I will not touch on. It does not burn yet. We lead so far. PS You can swim Lake Mälaren in the center of Stockholm, as tourist directors delight in demonstrating. That goes for all the oceans too, when you get to the Gyres. Perhaps the dood should change the offer to include the oceans. Or perhaps one of the holy rivers where millions of pilgrims have congregated for years. The evangelists of OIl-Qaeda say it is working because holiness has increased so much that now the pilgrims glow in the dark after they take these swims. Shanghai was different and Hangshu was too, I gather. Maybe not as much as Shanghai. Hangshu is a formen Imperial playground, full of marvels like restaurants which serve what appears to be a large fish on a large platter, but turns out to be vegetables, and tasty to boot. The lake is spiritual center of it all. We did not view the river. Progress is kinda crappy, especially the western capitalist style, whether by chinese or whatever country.